The best documentary wedding photography package in Essex. 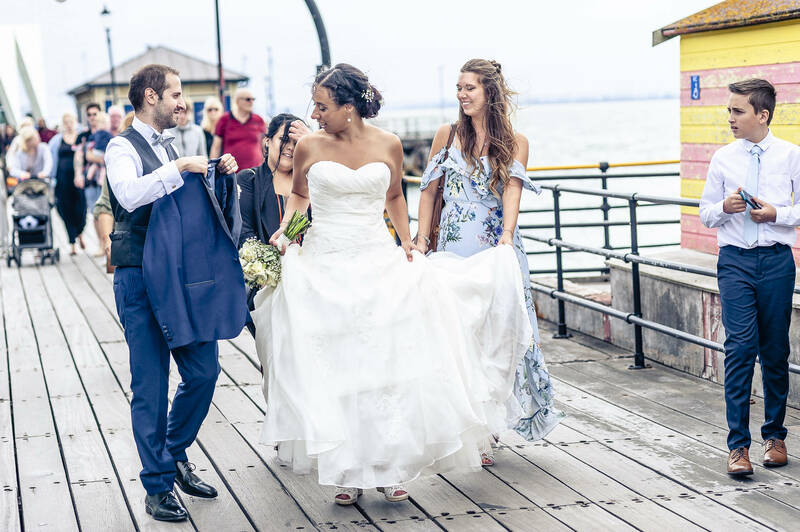 I have just one documentary wedding photography offer and I'm sure it's the best solution for your to create real and exciting memories: you will get two professional documentary wedding photographers and up to 400 or more edited pictures delivered by digital download + a fantastic online slideshow. It will be a pleasure for me to make your memories catching every single moment starting from the preparation till to the end of the event: a wonderfull full day photography session. Two documentary wedding photographers, full day wedding photography (from the preparation till to the end of the event), up to 400 edited pictures, online slideshow. Now, you know my price as well! If you like my photos, I suggest you to ask if your date is still available, many couples like to book their date from six months till one year before.